You have probably already realised that there are many negative consequences when abusing alcohol or drugs. The problem is that if knowledge of the harm of this behaviour were enough, nobody would ever fall into the trap of addiction. Fear of future pain and suffering just might not be enough to encourage you to escape this downward spiral, which is why it is so important to consider the benefits of recovery; the mind seems to be more impressed by reward than punishment. Below are just ten reasons why sobriety is a wonderful gift to give yourself. There may be things you have done as a result of your addiction that you now deeply regret. You have likely lost out because of the substance abuse, and this can include lost opportunities, ruined relationships, and damage to your career. One of the real gifts of sobriety is that it gives you a second chance. It matters not how much you have lost as a result of the addiction; you have this opportunity to start again. Sure, there may be consequences to pay for your past misdeeds, but this is the nearest you are ever going to get to a clean sheet in life – is it not something that you deserve? Addiction is a thief. It not only steals your health, your relationships, and your reputation, but it also steals your dreams – this can be the cruellest part of it all. When your life revolves around your ability to consume alcohol or drugs, there is just not much room for anything else. The good news is that recovery can give you back your dreams. When you are sober, you begin to remember all of those things that gave your life real meaning and joy. If you are diligent in developing the tools of sobriety, it will mean that you have the ability to turn at least some of these dreams into a reality. One of the common driving forces behind addiction is fear. Getting drunk or high can give you a temporary reprieve from fear, but it is actually making things much worse. You end up becoming caught in a vicious cycle because the thing you are using to cure your fear is actually creating more of it. By the end of addiction, it is common for many to be almost paralysed by fear. Alcohol and drugs is a terrible method for dealing with fear. A far more effective approach is to develop emotional sobriety – this is where you have the ability to easily manage your emotions. The secret to developing this type of sobriety is to deal with life on life’s terms. Every time you willingly face and overcome a challenge in your path, it strengthens this inner resource. The thing that most people are looking for when they turn to alcohol or drugs is the chance to experience some inner peace. This feeling of serenity may make brief appearances in the early days of substance abuse, but it is never the real deal. The truth is there is no drug on the planet that is capable of producing a lasting sense of inner peace; the best these substances can do is create a weak imitation of this. The serenity you have always yearned for will be available for you in recovery. It is a gift from the universe for doing the right things in your life. In the early days of recovery, you may only have brief periods of serenity, but if you keep working on your emotional sobriety, you will experience it more and more. In Alcoholics Anonymous, they like to tell newcomers “the good news is you get your feelings back, and the bad news is you get your feelings back”. Experiencing intense emotions again after years of numbness can come as a shock, but it is also like walking out of a black-and-white movie into a world of brilliant colour. When individuals are trapped in addiction, they do not realise that they are living life from behind a muddy filter, meaning they can never fully experience joy, love, and compassion. By giving up alcohol or drugs, you can get to feel things once again, and this is a wonderful gift. It is hard to have deep relationships while caught up in addiction. In order to survive in the life of addiction, one has to be self-absorbed, manipulative, and uncaring; behaving unethically is very often a requirement also. One of the real joys of life is having a deep connection with another person. Upon becoming sober, a person will be in a much better position to develop this type of connection. A person up in addiction struggles to meet even his or her own basic needs, so there is very little left to offer anyone else. Addicts are often unfairly viewed as a ‘burden on society’, which is how the person in this position usually feels. There are many examples of those who have managed to break free of addiction to go on and make a positive contribution to the world. Sobriety makes it possible for you to shine and leave your mark; sober living makes it possible for you to become a positive role model and somebody worth looking up to. It is often said that physical health is the only real wealth – it matters not if you have a mountain of money if you are too ill to enjoy it. By escaping addiction, you will be making a serious improvement to your general health, but this is just the start. In order to get the most from sobriety, you need to commit to a healthier way of living, meaning that you are not only likely to live longer, but you are also going to have a better quality of life. Spirituality can give real meaning and purpose to your life. It does not mean you have to adopt any particular religion – even atheists can be spiritual. It just means that you develop a deeper connection with the universe. You feel more a part of things, and this fills your life with wonder and joy. Let’s face it; the life of a person caught up in addiction is fairly predictable. It might feel like sometimes you are living on the edge and being spontaneous, but this is just part of the denial of alcohol and drug abuse. It may have been a sense of rebellion that drove you to substance abuse initially, but once addicted it is all about staying trapped out of fear. By getting sober, you will have the chance to experience a very different way of living. You are not going back to the way things were before you turned to alcohol and drugs – what would be the point in that? 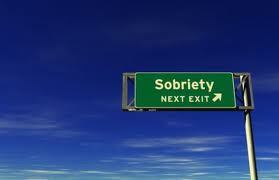 The gift of sobriety is something completely new and wonderful.